ARRI unveiled its new large-format 4K version of the ALEXA sensor at the 2018 BSC Expo in London. The Alexa LF is qualified to shoot native 4K productions in all three camera sensor modes, making it Netflix approved for its original productions. ARRI introduces a complete large-format system that meets and exceeds modern production requirements, delivering unprecedented creative freedom. 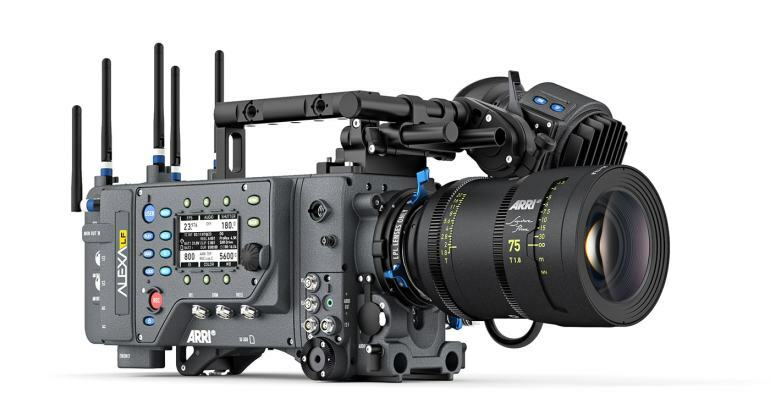 Based on a large-format 4K version of the ALEXA sensor, the system comprises the ALEXA LF camera, ARRI Signature Prime lenses, LPL lens mount and PL-to-LPL adapter. These system elements have been designed to take full advantage of the enlarged sensor, while also offering compatibility with existing lenses, accessories and workflows. The first Alexa LF cameras will be available in late March 2018, and an initial set of four Signature Prime lenses will be available in early June. The remaining lenses will be released over the course of the year.